Virginia Geyer told councilors that Superintendent Gary Rosenthal is employed by the school board and asked them to send all requests, including budget questions, to her. 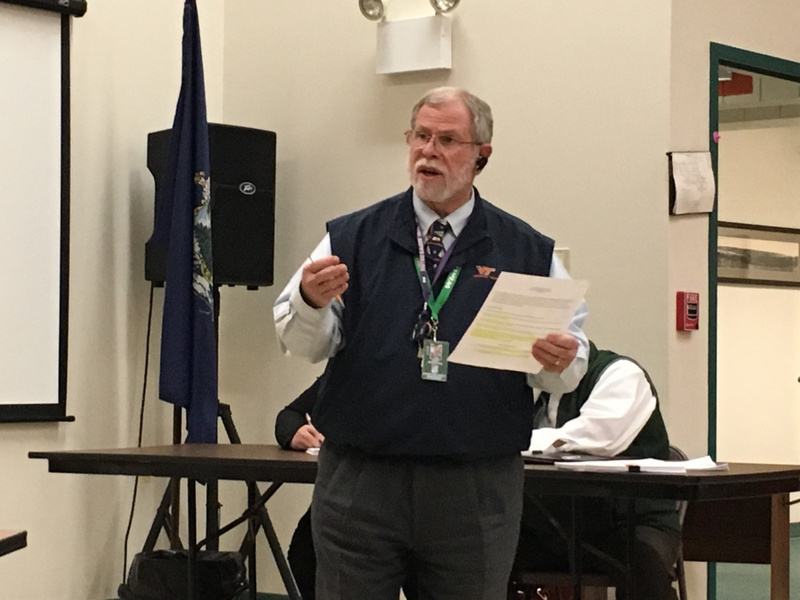 WINTHROP — The strained relationship between town and school officials shows no signs of improving after the School Board chairwoman recently accused members of the Town Council of harassing Gary Rosenthal, the school superintendent, and asked that they refrain from contacting Rosenthal directly. In emails sent from Sept. 24 to Oct. 2, the chairwoman, Virginia Geyer, told the councilors that Rosenthal is employed by school board and asked that they send all future requests of Rosenthal to her. Geyer informed the councilors that Rosenthal would not be attending the monthly council meeting that was happening a week later, but added that Rosenthal could meet with them individually. That protocol is a departure from the way the council has interacted with Rosenthal in the past, particularly since a $1.5 million shortfall was discovered in the Winthrop School Department’s finances last year. After that discovery, the council asked Rosenthal to attend its meeting regularly to provide updates on the funding situation. Some of those meetings turned combative. School and town officials have traded blame for the budgeting error that led to the shortfall, and after Rosenthal accused the town of owing the School Department $534,140 for unrelated reasons, the council took a 5-1 vote of “no confidence” in him. More recently, the two sides strongly disagreed about how much funding to provide the local schools. In August, the town passed an $11.1 million school spending plan, which is 1 percent lower than last year’s budget and $300,000 lower than what the School Department originally requested. Now Town Manager Ryan Frost and council members argue that the protocols Geyer is seeking could make it even harder for the two sides to communicate and for residents to know what their taxes are paying for. Fuller also said that Frost, as the former chief of the town’s Police Department, would know harassment when he saw it. The town’s School Department does have some independence from the council, over matters such as personnel and how to spend the funding that has been approved for the school district. But the council has final say over the total amount of the school budget that is sent to voters each summer. The reason Geyer sent her first email on Sept. 24 was because Frost had informed Rosenthal that the council would be discussing the school budget at its meeting this week, which happened on Monday. In a subsequent email, council Vice Chairwoman Linda Caprara told Geyer that she was hoping for an explanation of how the School Department is planning to spend the $11.1 million it is receiving this year. But in her emailed replies, Geyer called that a “vast topic,” then said Rosenthal wouldn’t attend the meeting and described the new protocol for requesting information from him. She also wrote that the School Department has not completed its spending plan adjustments for this school year and was not prepared to share them immediately for a couple reasons. An auditor recommended that school officials not publicize the spending information until an ongoing audit is complete, Geyer said, and they also were waiting for the state Department of Education to accept the spending plan. Geyer also said she wasn’t aware of a law requiring the School Department to share that information with the council. The conversation continued at the council meeting on Monday night, which Rosenthal didn’t attend. Two councilors, Caprara and Fuller, questioned the new protocol for contacting Rosenthal and told Geyer that all local funding matters should be discussed in open session. She and Geyer said Rosenthal would be available for future meetings, as long as the councilors sent specific topics in advance and the School Board members decided they were appropriate for him to address. Geyer and Shumway also mentioned that councilors are welcome to attend the board’s meetings when spending decisions are made, and she noted that two council members, Priscilla Jenkins and Rita Moran, have attended some. Reached by phone this week, Rosenthal said he isn’t trying to withhold information from the council, but said that council meetings over the last year have been filled with “emotionalism and unprofessionalism.” He said that there aren’t many people who regularly attend council meetings, and added that he has an open-door policy for residents who want to ask him questions. Rosenthal also noted the academic achievements that the Winthrop School Department has made, and said that his main focus is on providing the best education to local students. Of the school districts around Kennebec County, the Winthrop School Department had the highest percentage of students who met or exceeded the state’s expectations in English-language arts, mathematics and science in the 2016-2017 school year, according to results from the Maine Education Assessment that Rosenthal has posted on the department’s website. No councilor disagrees with Rosenthal’s assessment of the local school district. But going forward, negotiations between the council and the School Department will be difficult, as representatives from both said they have lost trust in each other. Reading from prepared remarks Monday night, Fuller said the council could “easily accommodate” the new protocol that Geyer requested for communicating with Rosenthal.